Wisconsin Chess Federation All Girls Chess Tournament winner! The National WWII Museum 2017 Student Essay Contest Winner! MATHCOUNTS - Regional Champions - AGAIN! Way to go! BCHBA Interior Innovation contest and our tech club entry! Honor Choir singing in Wausau! 2017 impromptu holiday jazz concert! See photos for future female scientists in training! New hallway art to start the school year! WDP middle school students performing community service in cooperation with the Green Bay Packers organization. 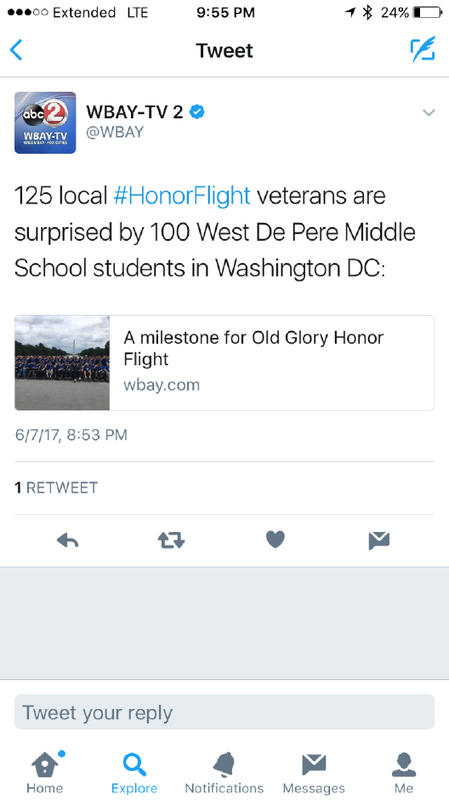 Proud moment for our school to be associated with this event. See photos from our trip!